When we see Babe Ruth, we think baseball icon, the home-run king. But in the eyes of the ‘Murderer’s Row,’ come on: The Bambino was definitely naked at some point. With all that time the team spent in the locker room, it only makes sense that Earle Combs saw Babe in the buff. Lou and Ruthy played 12 seasons together. Even if he usually looked away, you gotta believe he accidentally caught a peek at Babe sans uniform. In terms of people who saw “The Sultan of Swat” naked, we’ve pretty much got his wife, his doctor, and these guys. Tony could have told his kids about it, and who could blame him? He saw Babe Ruth naked! Honestly, it probably would have been weirder if Johnny Grabowski didn’t see Babe Ruth naked. 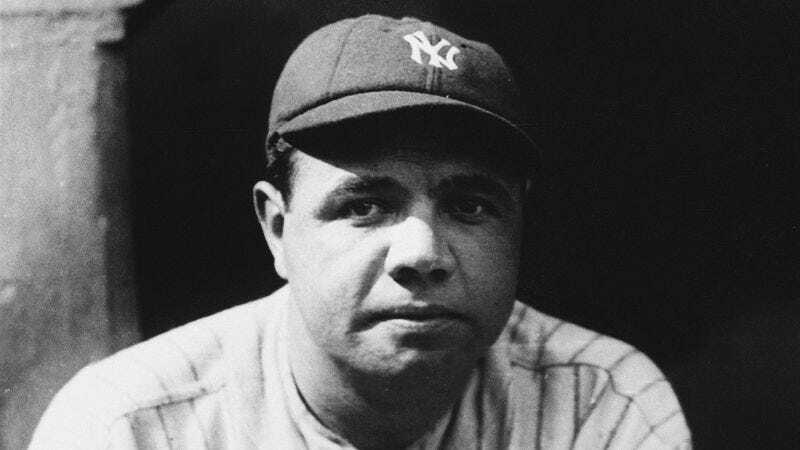 By our estimation, Mark was the last man alive to ever see the real “Great Bambino.” Incredible!